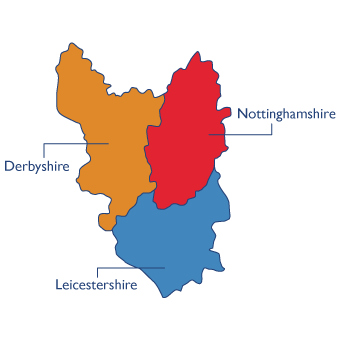 APS Security work all throughout the East Derbyshire including Ripley, Codnor, Pinxton and Heage. We offer an bespoke service which includes flexible payment options and a guarantee that we will beat any “like for like” quotation. Our highly qualified engineers can advise and create the ideal fire and protection systems for your retail premises, warehouse and distribution centre, car dealership or breakage yard in the East Midlands. We also have competitive maintenance packages for security and fire protection installations. This ensures your equipment is looked after, giving you peace of mind 365 days of the year. We​ ​can​ ​install​ ​alarms​ ​in​ ​residential care homes​ ​and​ ​commercial​ ​areas,​ ​as​ ​well​ ​as​ ​perimeter security​ ​protection​ ​for​ ​outdoor​ ​premises​ ​at​ ​factories,​ ​utility​ ​sites,​ ​warehouses​ ​or​ ​car parks.​ ​We​ ​also​ ​install​ ​alarms​ ​inside​ ​buildings​ ​to​ ​deter​ ​break-ins​ ​and​ ​protect​ ​property. If you have a business that employs more than five people then you’ll need an alarm by law. 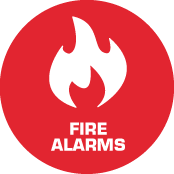 We can come and inspect your premises and give you advice for the type of fire protection you will need. 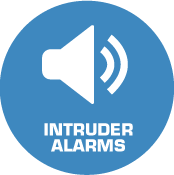 We supply conventional alarms and systems that include warnings provided by voice or visual means for employees who have a visual or hearing impairment. Need an intercom or access control at your premises? Speak to us to discuss the different options available. ​We​ ​can​ ​supply​ ​traditional​ ​numerical​ ​or​ ​card​ ​entry​ ​arrangements​ ​as well​ ​as​ ​audio​ ​and​ ​visual​ ​systems​ ​so​ ​that​ ​only​ ​authorised​ ​personnel​ ​can​ ​enter​ ​the building. Throughout​ ​East Derbyshire, we​ ​install CCTV ​across​ ​a​ ​number​ ​of​ ​industries​ ​including​ ​pubs, hotels, local authorities, residential care homes, and office blocks. Tell us what you need and we’ll design a bespoke system just for you.